Today, August 18th, it's been over two months since the horrific killings in the Emanuel A.M.E. church in Charleston, South Carolina. The Rev. 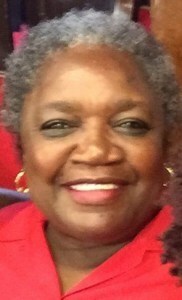 Clementa Pinckney, 41; Cynthia Hurd, 54; The Rev. Sharonda Coleman-Singleton, 45; Tywanza Sanders, 26; Ethel Lance, 70; Susie Jackson, 87; Depayne Middleton Doctor, 49; The Rev. 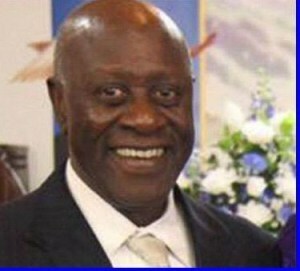 Daniel Simmons, 74; and Myra Thompson, 59. It's been over a month since five dedicated military personnel were gunned down on their own turf, in Chattanooga, Tennessee. Marine Corps Gunnery Sergeant Thomas Sullivan, 40; Marine Corps Sergeant Carson Holmquist, 25; Marine Corps Lance Corporal Skip Wells, 21; Marine Corps Staff Sergeant David Wyatt, 35; and U.S. Navy Petty Officer Randall Smith, 26. It's been three weeks and five days since a gunman opened fire in a Lafayette, Louisiana movie theater, killing two women as they were settling in to watch a comedy. Eleven people were injured, and Jillian Johnson, 33, and Mayci Breaux, 21, lost their lives that night. And it's been three weeks and a day since 8-year-old Madyson Middleton (Santa Cruz, California) was lured into the apartment of a 15-year-old friend, where she was allegedly raped, strangled, stabbed and dumped in a recycling bin. Last week was the one year anniversary of Michael Brown's death at age 18, at the hands of Ferguson, Missouri law enforcement. And of course I could go on and on: July 10th, Sandra Bland, 28, pulled over by a Texas State Trooper for failing to signal a lane change, dead within three days in the Waller County Jail. Eric Garner. Trayvon Martin. It's sadly more the norm these days, to wake up to news of a random shooting, and seemingly every week (every day? ), somewhere in this country, there's an African American who ends up dead at the hands of law enforcement charged with his/her protection. I know people who have had to stop listening to news and reading newspapers because it is harmful to their health. I know someone who was able to stop taking anti-depressants by eliminating what was negative in her life, a big piece of that being the evening news. My own response to these horrific crimes lands me in a state of emotional paralysis: first, I feel the news deeply; then I begin to obsess; I read all I can about the most recent horror; and I arrive at a sense of increasing helplessness and hopelessness. What can be done? Just after the Charleston shooting, a former student of mine from Prescott College, Susan DeFreitas, posted on Facebook a similar sentiment of helplessness. She felt horrible in the face of such savagery, and she wanted to do something about it. She wanted to be thrown back in time so she could march for civil rights. She wanted to honor, acknowledge, contribute, HELP, to feel less helpless. So she committed to writing and posting a poem per day, as eulogies for the nine lovely lives lost in Charleston -- worshippers who welcomed their white supremacist killer into their bible study that evening. To write these nine poetic eulogies, DeFreitas first researched each individual life, learning the crux matter about each of them, and weaving what she'd learned into a poem, one each day for nine days. What we learn, aside from the specific ways the victims were cherished by their families and friends, is that we feel even more collective remorse when we begin to know the particulars of the lives that were lost. DeFreitas' "The Charleston Eulogies" particularizes one incidence of senseless violence. Grateful to her for her efforts and expression, I made a ritual out of reading her eulogy poems each morning. It felt like one way to properly mourn. With DeFreitas' permission, I give them to you here, all nine at once. Read one per day, as they were first published, or read them en masse, the way the nine perished. Read them and remember. My hope is that this admirable single effort of Susan DeFreitas can be a balm to the hopelessness we all feel, that her Charleston Eulogies get all the shares and likes the victims' lives warrant, and that DeFreitas, a spokesperson for our times, for our collective cultural speechlessness in the face of these horrors, will make a habit of eulogizing those lost so senselessly. Susan, you've done it so well; we need you to do it some more. Note: These Nine Eulogies first appeared on DeFreitas' blog, and were reposted shortly after at STIR. The massacre of nine people on Wednesday, June 17th at the historic Emanuel A.M.E. church in Charleston, South Carolina, is a tragedy of national proportions. I feel strongly that this is a time for all Americans to act in whatever way we can to address the racial hatred that lives on in our country in ways both great and small. This is the first of a series of poems honoring the victims of the Charleston shooting. into this place, your house. unsung heroes of our people. closer to you. In Jesus's name we pray. The words that open this poem are those of Reverend Clementa Pinckney, from a speech given during the 2013 Civil Rights Ride. I discovered it in an article in The Atlantic, which addresses the perils of pastoring a church "baptized in blood and fire." 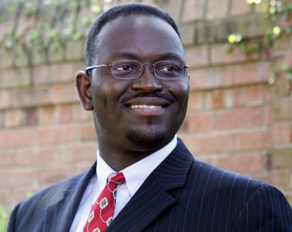 More information about the late Reverend Clementa Pinckney is available from Emanuel A.M.E. Church. University of South Carolina; a self-proclaimed "book-nerd,"
returned to the library with children of their own. will forever bear your name. The words that open this poem (and some of those in the second half as well) are those of Cynthia Hurd's brother and others who knew her. She was an employee of the Charleston County Public Library system for thirty-one years and the manager of the St. Andrews Regional Library, which Charleston City Council member Elliott Summey announced at a recent press conference will henceforth bear her name. 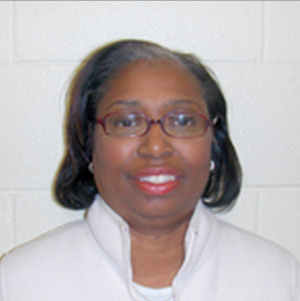 More information about Cynthia Hurd and the legacy she leaves is available from the Charleston County Public Library system. The words that open this poem are from a voicemail that Sharonda Coleman-Singleton left for her college friend and fellow pastor Chineta Goodjoin two weeks before her death. 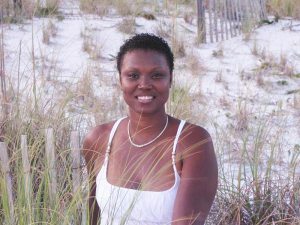 Some of the words in the second half of the poem are from a tribute to Mrs. Singleton from her children and those who knew her at Goose Creek High School, where she had taught since 2007. Reminiscences on her life and legacy appear on the high school's athletic association's Facebook page. skateboarder; hair stylist. "Ambition over adversity," you said. and said, "You don't have to do this." He insisted that he did. your grandmother. He replied that it did not matter. He was going to shoot you all. You dove to save her and were the first to fall. The words that open this poem are those of people who knew TyWanza Sanders, including college administrators, family members, and close friends. The moving story of his heroism on the night of the tragedy is related in a story by the New York Times. Detailed reminiscences on his life from his four close friends, his "band of brothers," appear in a recent article from Vibe. and even when they are old, they will not turn from it." you'd been looking forward to. The words that open this poem are those of Susie Jackson's family members. Many of the details about the keystone role she played in her family are taken from an article in Charleston's Post and Courier. At 87, she was the oldest of the victims of the Charleston shooting; her nephew TyWanza Sanders, died trying to save her. The words that open this poem are those of Ethel Lee Lance's grandson, Jon Quil Lance, her daughter, Esther Lance, and her former coworker, Cam Patterson. Ethel Lee Lance was seventy, a mother of five, grandmother of seven, and great-grandmother of four; she was known to spoil children by buying them gifts and taking them to the movies. 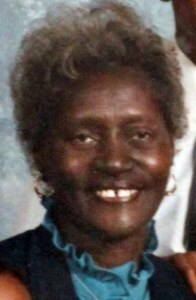 She was the cousin of Susie Jackson, who was also killed in the Charleston massacre. 8. Eulogy: For Reverend Daniel Simmons, Sr.
Master's of Divinity; pastor; father, grandfather. he lived in the hands of love." The words that open this poem are those of people who knew Reverend Daniel L. Simmons, Sr. Many of the details included in the second part are based on an article from Charleston's Post and Courier, which noted that Rev. 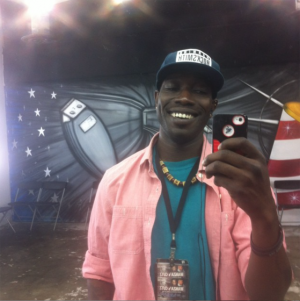 Simmons was the only victim of the Charleston massacre who survived long enough to be taken to the hospital, where he died on the operating table. The words that close this poem are from a statement issued by Reverend Simmons's family. you'd taken that job in admissions after years of writing grants. 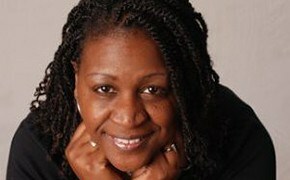 The words that open this poem are those of Reverend DePayne Middleton Doctor's friends, family, and coworkers. The details of her life and professional career are from an article by the Charleston Post and Courier and a statement from Southern Wesleyan University, where Doctor had recently taken a job as an admissions counselor, and which officials recently announced will offer full four-year scholarships to each of Middleton Doctor's children. The words that conclude this poem are paraphrased from a powerful statement issued by Middleton Doctor's family following her death.I encourage you to read the rest of it here. Susan DeFreitas is a writer, editor, and spoken word artist. Her fiction, nonfiction, and poetry has appeared in The Utne Reader, The Nervous Breakdown, Southwestern American Literature, Fourth River, Weber--The Contemporary West, and Bayou Magazine, among other publications, and in 2014 her work was a finalist for a Best of the Net award. 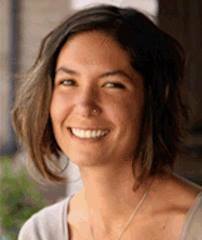 She is the author of the fiction chapbook Pyrophitic (ELJ Publications) and holds an MFA from Pacific University. She lives in Portland, Oregon, where she serves as an editor with Indigo Editing & Publications. Follow her on Twitter.